This organic baby powder is talc free and has natural ingredients that prevent chafing, freshens skin, and dries and soothes with a hint of lavender. 100g. 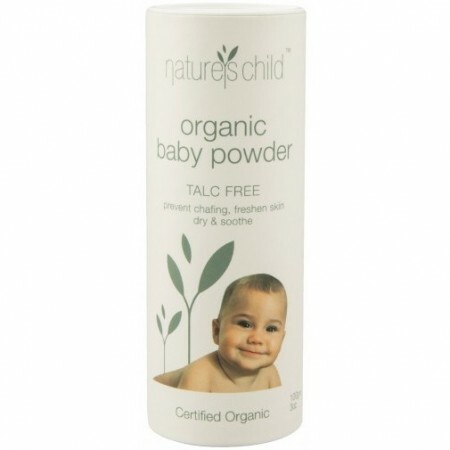 Nature's Child Baby Powder 100g is due back in stock mid March 2019. Please be sure to enter your email address below to receive a notification once they are available to order. NO talc or synthetic fragrances or preservatives. Ideal for after bath or at nappy change to assist with absorbing excess moisture, which helps prevent skin rashes and irritations. A comforting hint of lavender. I like that it is made from more natural ingredients. Works like my previous one but has less harmful ingredients.